Since I (still) don’t have my next video tutorial completely edited, this week’s New Stitch Wednesday post features a super fun and quick method of crocheting blankets. It’s called Corner-to-Corner (or C2C for short), and it’s amazing. This is my first C2C blanket, and though it’s taken a while to get this far, I only have a few hours invested in it. The pattern is simple and repetitive, and it allows for some really neat graph designs. What stitches do you need to know? 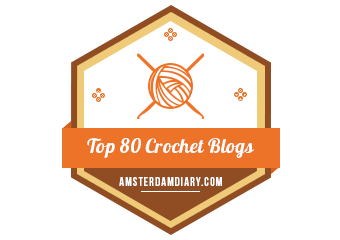 The Chain Stitch (ch) and the Double Crochet Stitch (dc). 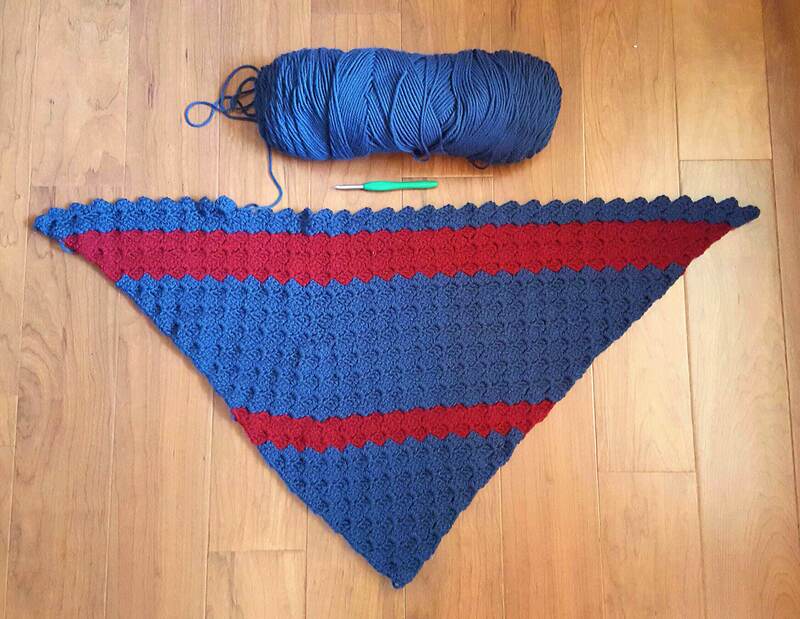 The graph I made for this blanket is incredibly easy–it’s just a series of red and blue stripes–but it’s the perfect choice for your first C2C project. 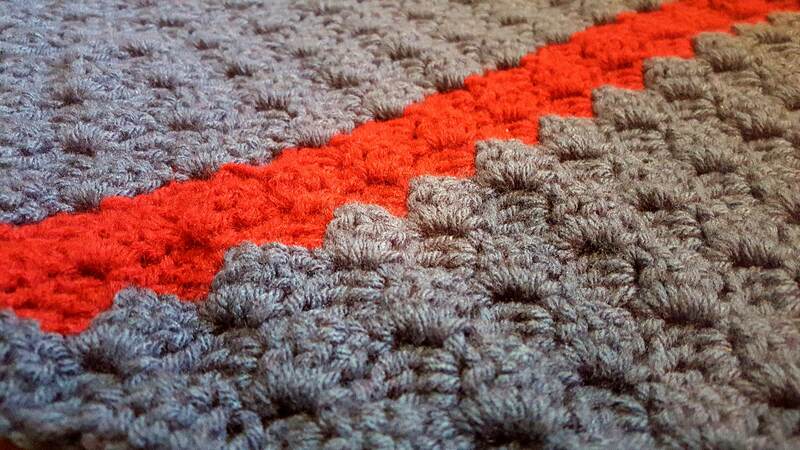 There are hundreds of different designs possible with the C2C blanket–if you can think it, you can do it! Give these C2C graphghans a look! For those of you just itching to try your hand at a simple C2C pattern, please feel free to use my graph! Beginner’s C2C graph. 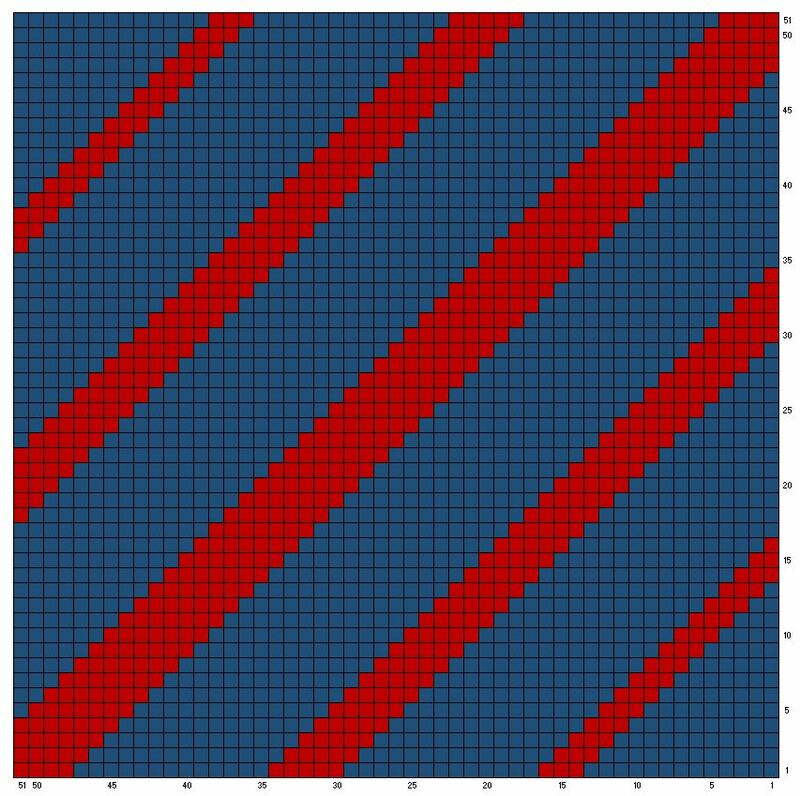 This graph is 51 “blocks” long by 51 “blocks” wide. I am just in love with this method–it made me break my “no blankets!” rule, so you know it must be good! I am using a size I/5.5mm hook and a couple varieties of worsted weight yarn, which I had on hand. At this rate, each “block” measures approximately 0.75″-1.0″ tall, meaning that my blanket should measure to be somewhere between 38.75″ x 38.75″ to 51″x51″. This all depends on the weight of the yarn you use, your hook size, and your tension. I learned by watching the following video from Mikey with Crochet Crowd. His instructions are very clear and he goes at a decent speed so you can work on your own project at the same time. Follow along with the video below or click this link to learn more!